How many climbing focused fitness trackers can you name? Well, there's none. 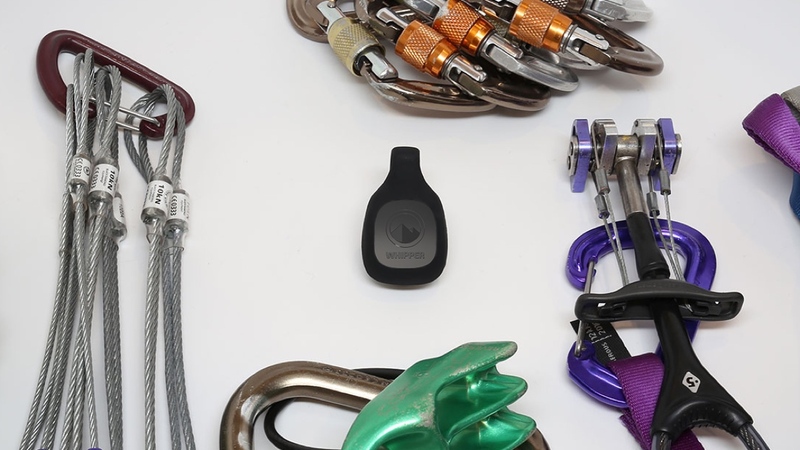 So step forward Whipper, a Fitbit Zip looking device that clips onto your harness and coach you to be become a better climber. It's being developed by San Francisco based startup Mbientlab, who claim to have found the right motion and pressure sensors to deliver a host of climbing metrics in real time including vertical foot gain, incline, pace, effort level and altitude. It'll work in the great outdoors as well as on climbing gyms and packs a USB micro rechargeable battery to make sure it goes the distance. Although there's no specific details on battery life. Data is synced to the Whipper smartphone app via Bluetooth where you can review climbing sessions, challenge friends and track progress of your climbing team. One of the most interesting features is the smart coach mode, which aims to offer improvements for all skill levels by suggesting advice, training modes and additional exercises to try out. Mbientlab is also doing its bit to protect the earth and support the sport of climbing. For every 100 feet climbed by Whipper users the team will donate $1 to the AccessFund. The Whipper is launching on Indiegogo on May 3 where early backers can pick one up for $99. If all goes well, the startup hopes to have the tracker on shelves by the end of 2016.